Hello and welcome to my blog. 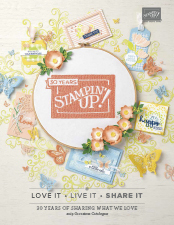 Today I’m joining 27 fellow SU demonstrators for an ESAD blog hop featuring products that are on the Retirement List. You may have started with me or you may have hopped over from Jo Stubbings. Click on the next button at the end my the post to continue on the blog hop and check out all the amazing projects. 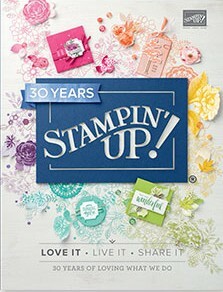 I decided to choose a stamp set and die bundle that had been sitting on my shelf for a while now. I couldn’t let You Move Me go uninked any longer. Have you seen this bundle used before? The image flutters when you pull it out of the envelope. I’ve used my favourite retiring DSP, Bundle of Love, with the Mini Treat Bag Thinlits (sadly, also retiring) to create my project. I couldn’t decide if I wanted a blue or pink version so I made both. I’ve used Sweet Sugarplum (retiring) and Blushing Bride ink for the pink version. And Island Indigo (retiring) and Tempting Turquoise (retiring) ink for the blue version. I’ve added in some retiring Very Vanilla Sold Baker’s Twine and retiring Metallic Enamel Shapes also. If you click on the links below you can see short videos of my interactive cards in action. My assistant Marvi was quite interested in the Baker’s Twine and decided he might like to eat it. Next on the hop is the lovely Sharon Dalton. I had the pleasure of meeting Sharon in Sydney at On Stage. I love how you’ve used that DSP with that set ! I never would have tbobhtof that it looks great ! Fantastic creations, Peta. Love your colour choices as much as Marvi loves your twine! Oh that Marvi! Talk about camera hog! Love these Peta – perfect with that DSP. Wow Peta! Combining that stamp set with that DSP makes for gorgeous cards. Good to know that I could still have a play with this one, as I didn’t end up getting it, wink, wink!